That’s right OPC crawlers it might not be Cinco but it might as well be. Time to celebrate America’s(we mean Mexico’s) favorite holiday. All of the usual specials and 4 free drinks will be included along with all of the craziness of Cinco De Mayo.
? 1st beer on us! Choose from Miller Lite, Coors Light or Yuengling. Must register by 5:30pm to get your free drink!
? I Love the 90s color changing stadium cup for all your drinks!
? Slap bracelet to bring back your childhood memories!
? No cover with ticket at participating bars!
? DJ's spinning 90's music played at participating bars!
? 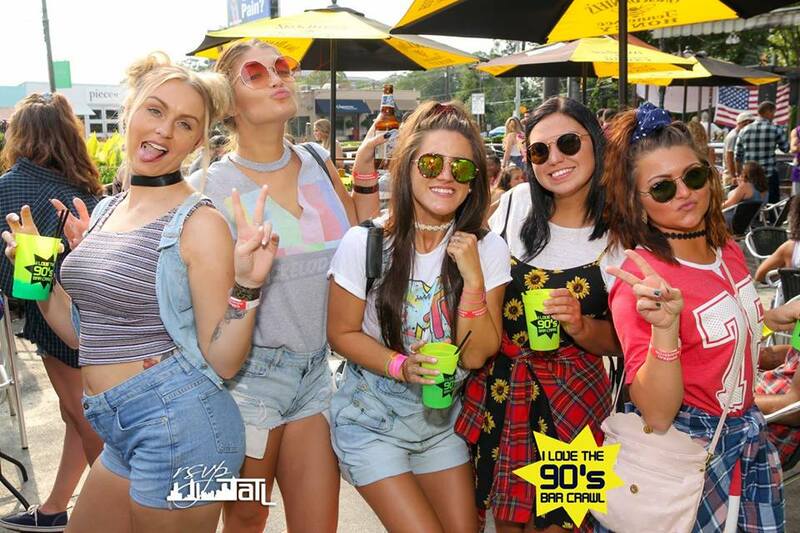 Crawlers dressed in outrageous 90's gear!
? A party with kids from the 90s and the best 90's music! WEATHER: Event goes on rain or shine! Must be 21 to attend. All sales final, no refunds. Participating bars and bar specials subject to change at bars discretion.